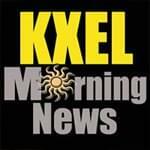 5:10–We’re thinking about lunch very early this morning when Bryan Helleso brings details about a lunch-based Northeast Iowa Food Bank fundraiser. 5:50–The Cedar Valley Court Kings have a win under their belt. Head Coach Michael Mohlis talks with Tim Harwood about what’s new, early on during the fourth season of Midwest Basketball League action. 6:35–It can be challenging to keep teens and alcohol from mixing. It’s nearly impossible if parents are the ones hosting a drinking party. Fox News Radio Legal Analyst Wendy Patrick examines one instance where that is alleged to have happened, and the potential fallout. 6:50–Dr. Terry Wahls talks with Jeff Stein about the upcoming KGAN health expo. 7:35–TV9 Meteorologist Kaj O’Mara says a chilly weekend is just around the corner. 7:50–It’s Invasive Plant Pest and Disease Awareness Month. Dr. Laura Iles, Director of Iowa State’s Plant and Insect Diagnostic Clinic joins Tim Harwood to talk about everything from bugs to bacteria which might cause trouble for plants and crops in Iowa. And, listen for your last chance to claim a copy of Kyle Idleman’s book, Don’t Give Up; Faith That Gives You the Confidence to Keep Believing and the Courage to Keep Going.